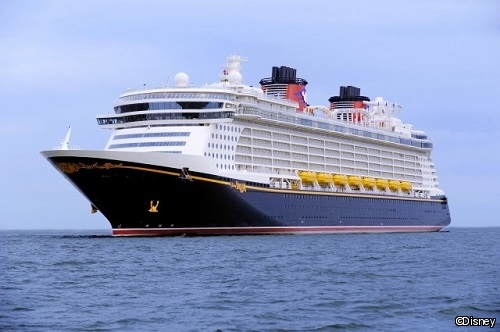 POSTED: Tue, 07/22/2014 - 05:00 | POSTED BY: Traci C.
"We are honored once again to be recognized as the 'World's Best' for families by the readers of Travel + Leisure," said Karl Holz, president of Disney Cruise Line. "This year is extra special because of the additional honor of Top Mega-Ship Cruise Line. These awards really speak to what Disney Cruise Line is all about, creating magical memories for guests of all ages onboard our ships and taking them to fantastic destinations around the world." Disney Cruise Line's fleet includes four ships: the Disney Magic, Disney Wonder, Disney Dream, and Disney Fantasy. The fleet sails itineraries to the Caribbean, the Bahamas, Hawaii, Alaska, Europe, and more. Yay! There's a reason that DCL keeps showing up on the top of this list - by far the best family cruise line out there!